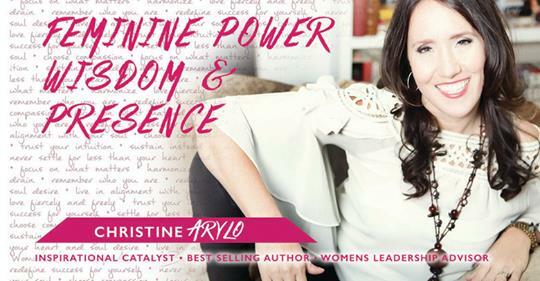 Christine Arylo – Feminine Leadership Advisor, Mentor, Coach & Consultant. 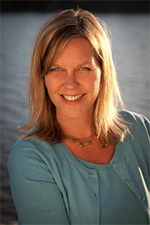 Transformational Speaker and Best Selling Author. MBA. Wisdom Teacher. Mystic. Yogini. Spiritual Catalyst & Guide. 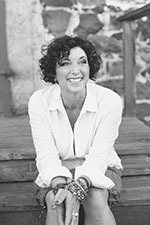 Beyond the titles, I work as a transformational catalyst, feminine leadership advisor, guide and mentor for people who desire to reach their full potential and impact… show up as their most powerful & radiant presence… live in alignment with their truth and divine purpose… using the power of sacred wisdom applied practically to their modern lives. I guide leaders to cultivate their inner vitality, wisdom, intuition, courage, compassion, and confidence and as a result become their most powerful presence within the systems they work, live and love within. Feminine leadership empowers women from the inside out to access and trust their internal intuitive power… activate both their compassion and courage… move out of burnout and overwhelm into focus and vitality… illuminate and innovate new solutions and ways of working… be powerful presences and catalysts for change in ways that collaborate instead of dominate. Feminine leadership creates a harmony within to give a leader access to the full spectrum of their masculine and feminine power – driven and focused and also moving with the flow…. rational and intellectual and also highly intuitive and visionary… providing for their families and taking care of what and who they love without sacrificing themselves… cultivating courage and compassion on the inside so they can be voices of wisdom and clarity, leading people to new possibilities on how we can lead our businesses, lives, and families and create structures and systems that create the world we desire. 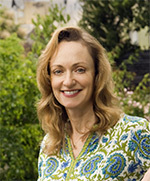 To the individuals and organizations I work with, I bring a unique set of experiences together: traditional leadership training and experience (as an MBA who has worked with and for some of the best brands and companies – Gap Inc, PepsiCo, and Visa) – with 15 years of training in ‘wisdom-based’ teachings in the divine feminine, yogic, and indigenous earth-based wisdom traditions. Focus & Flow – The art of focusing your life force on what matters most, saying no to the rest, and as a result creating less stress and more success. Christine fearlessly guided me to go beyond what I thought was possible to expand my vision of my self and purpose. This process is not for the faint of heart, or for those who just want to paint inside the lines. She’s like a personal trainer for catalyzing spiritual discovery, expansion, and manifestation in people who are ready to accept that possibility and make it real. Christine has guided me to come into my own as a feminine leader and has given me practical tools to create my life from a place of wisdom, grounded intuition and passionate activism. I had been in the corporate world for so long that a lot of my thinking around success and leadership pulled from the “do more model” which led me to over-work and burn out. Christine taught me about the power and strength that comes from living in alignment and flow. She helped me see feminine leadership in a new light, and see that the strong female leaders I admired had qualities that I also possess. If you want to grow, open your mind, deepen your spiritual connection, quiet the inner critic inside of you and live the wildly authentic life you were meant to live – then Christine is a powerful mentor. AND NOT JUST SURVIVED, BUT THRIVED. One of the biggest reasons I have been able to accelerate my personal and career growth the way I have is because of the mentors I’ve had along the way – and still do. And because I have sought out personal transformation experiences to support me in being the most powerful, clear, wise presence I can be so I can have the impact I desire in my work, the world, my family and community, stay true to my path and continue to stay vital and healthy. I believe at times of personal growth, big shift or when we hit a place where we can’t see ahead for ourselves, but just know a shift is needed, proactively choosing to transform with the support of someone with access to wisdom, the ability to hold space, who can both catalyze and help you gain inner strength and clarity within something we need, not because we are weak, but because we are wise. Which is why I every year I offer two advanced mentorship programs – one in the spring focused on personal transformation and re-calibration and the other in the fall focused on your feminine leadership presence and purpose and elevating and growing the impact of your work, the feminine way. I also offer in personal retreats one day and weekend retreats for people who need to step out of their daily lives to gain clarity and wisdom for illuminating the path ahead. HARMONIZE Spring and Summer: I open up space in my Harmonize 1:1 Transformational Mentorship program which includes a full day retreat with me + a 4 month personalized transformational path. This is for those ready to catalyze themselves & their lives, to align their lives with their heart & soul, to balance their feminine power and masculine drive, and to deepen their spiritual practice & access so all parts of your life are thriving. You can learn more about it here. I also offer “Feminine Wisdom Personal Retreats” at key times during the year on the island sanctuary I live on off the coast of Seattle. gain insight to focus your life force on what matters now, release the pressure to do and be it all right now, and get the best return for your time, energy, and resources. reset your patterns and habits and learn new physical and spiritual practices you can do in 3 to 11 minutes daily to create vitality, clarity, confidence and resilience and increase your access to Wisdom to support you to guide your big and small choices. Christine is and will always be one of the mentors who rocked my world so that I can rock the world too. If you are seeking real change that is all encompassing, then Christine is for you. This is not compartmentalized mentoring. This touches all parts of you. Through Christine, I received practices that changed how I work, plan, engage and show up. She guided me to see my wisdom and special gifts to give to the world. Christine thank you for orchestrating such a magnificent transformation & transition for me! What a brilliant and profoundly impactful experience. The experience showed me the path to Integration, Elevation, and Illumination on the next steps of my leadership and personal journey – mission accomplished! assistant Sarah at Sarah@Arylo.com and we will set up some time to talk. Taking a retreat with a circle of other amazing women who also have the intention to grow, expand and become even more powerful presences of change and wisdom in their lives is one of the most powerful and nourishing experiences I have ever had – both as a participant and as a leader. Something happens when you gather women together, take off the masks and feel the support of a sisterhood around you. We gain access to wisdom we could not access on our own. We gain clarity about our path in ways because we reflect for each other. We gain courage and confidence because we no longer feel alone. We strengthen ourselves from the inside out because our feminine power is amplified by being in the presence of other daring and courageous wise women. Plus stepping outside of your day –to-day life and into a transformational circle for a specific period of time is like spiritual dynamite – it opens up possibility and makes shift possible faster in more supportive ways. Every year I do one major spiritual pilgrimage, and I am on faculty at retreat centers, including Kripalu and Esalen, on the East and West Coast where I do retreats on the key ‘super power days’ of Spring and Fall Equinox and Summer Solstice. I also hold a fall Women’s Vision Quest the first weekend of November, the best time for spanning into future and the mystical to bring wisdom back to the material world. Teams that pause throughout the year to reflect on what has occurred on a personal level, team level and business level to celebrate and illuminate the wisdom stay more productive and focused on what matters. They are also able to prioritize and be nimble to meet the realities of the marketplace and the world and adjust their personal and team focuses as a result to be more effective, feel more successful and connected and as result waste less time and resources on projects that don’t have a high return from a profit or person stand point. June – F.L.O.W. – Focus your life force on what matters – what is going to give you the biggest return personally and as a business if you put your energy, time and resources there? December: SUPER POWER PAUSE – Reflection, Celebration + Get Clear for the New Year – Celebrate what you’ve accomplished, release the disappointments, get focused on what to complete this year and clear the mental space to start the new year. Bringing Christine in to our Women Leadership Training to take a year-end Super Power Pause gave our high potential leaders the gift of being able to focus completely on themselves and learn a valuable life skill. They learned how to take stock of what they’ve achieved and practiced supporting each other to recognize all they had accomplished. Many of our women leaders are so focused on accomplishments that they rarely celebrate their accomplishments – Christine was a catalyst to change that. Her year-end super power pause really engaged our members and many kept discussing and doing the exercises in smaller groups after, creating more connection with each other. Whenever I found myself at place in my life where I was stuck, repeating patterns, or not able to elevate to level I could feel inside, but couldn’t shift on the outside, I created a 40-day practice to breakthrough, and it worked, so I started teaching these practices to people around the world, and now thousands of people have broken through. One of the reasons you can’t make the shifts you want in your life is because of the unconscious beliefs, set points, and fears running your internal operating system. When you aren’t aware of something, you can’t change it, because you can’t see it. Based on both ancient spiritual wisdom and scientific technology, each 40-day practice illuminates the programming running your internal operational system and then putting simple but mighty practices into place into your day to day life, shift starts to occur, and your internal programming – beliefs, patterns, habits, choices – get an upgrade that sticks. Why 40 days? Because yogis, metaphysicians and scientists agree that is the amount of time it takes to break a self sabotaging pattern and begin to re-establish new self supportive, self empowering one on the mental, physical, emotional and spiritual planes. Not 21 days. Not 28 or 30. It’s 40. Why a 40-day practice? When you are held within a ‘container’ that has specific intention with specific practices that you put to practice in your daily life you are less likely to give up on yourself. Just like when you go to an exercise class, you are more likely to do the entire class. When you do a 40 day practice with me, you are way more likely to stay committed and devoted to yourself. The yogis say the first step to happiness is commitment and if you want to change your life, change your patterns. Path of Self Love Teacher Training & Certificate Program. For those who desire to more masterfully and powerfully teach and guide others using a proven technology of self-love – to use to amplify and strengthen your existing practice and teachings or to use as a catalyst to more visibly and fully share your gifts with the world. This is for those who believe in the power of self love and would love practical, proven ways to share it. Art of Sacred Circle – Training and Incubator. For those who desire to more masterfully and powerfully call and hold powerful circles, workshops, retreats. Error: Error validating access token: Session has expired on Friday, 19-Apr-19 12:24:14 PDT. The current time is Thursday, 25-Apr-19 10:47:12 PDT.